Please use the form below to apply for a 2019-20 City of Philadelphia Natural Surface Trail Permit. Trail users are expected to follow all rules and regulations set forth by Philadelphia Parks and Recreation, including heeding to all trail user designations, being courteous to all park users, and being sensitive to the environment. 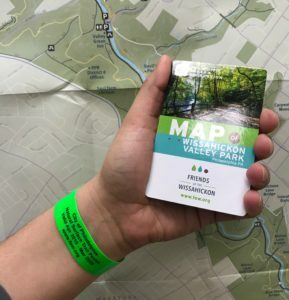 All equestrians and bicyclists over the age of 16 are required to carry or display a valid City of Philadelphia Natural Surface Trail Permit to use the upper trails of the Wissahickon Valley Park. This trail permit is valid April 1, 2019 – March 31, 2020. 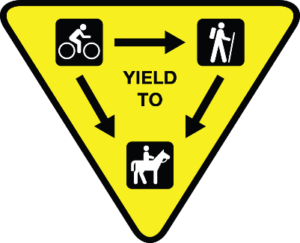 Equestrians and bikers on natural surface trails without a permit may be assessed a $25 fine by Philadelphia Park Rangers. Thank you for your participation and cooperation in following our park rules, put in place to preserve our community’s natural recreation areas for generations to come. All trail users shall use the trails with common courtesy and safety for other park users. All trail users shall observe a seven (7) mile per hour speed limit. All trail users, except pedestrians, must proceed single file. All dogs / pets shall be on a leash of no more than six (6) feet. Anyone using Forbidden Drive or designated access roads will not require a trail pass. All trail users over the age of sixteen (16), except pedestrians, require a trail pass. Cyclists and equestrians must adhere to all trail user designations (indicated at trailheads and intersections). Cyclists are not permitted in the Andorra Natural Area or on the Lavender Trail. Cyclists must relinquish right of way to all other park users, except during permitted bicycle events. No person may ride a bicycle or horse in the park between the hours of 9 p.m. and 6 a.m.
Cyclists are not permitted to use trails when muddy conditions exist. Motor vehicles are prohibited on Forbidden Drive or any other park trails at any time.